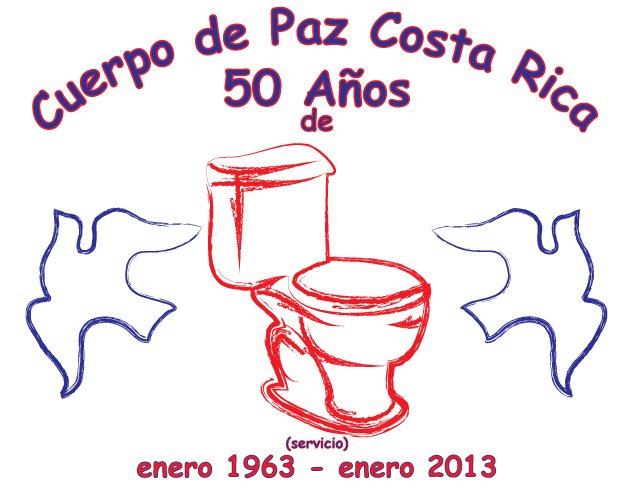 Next year, Peace Corps Costa Rica will be celebrating its 50th anniversary, so our country director put the challenge out to volunteers to create a logo to commemorate the event. Both Tarah and I submitted our creations, but since voting isn't complete I can't share our entries yet, but I wanted to share a design that I didn't enter into the contest. Although the the word inodoro is understood in Costa Rica, the most common word for toilet is servicio which also means service. The design is meant to be fun and lighthearted and means no disrespect to Ticos, Peace Corps or all of the amazing servico that has been accomplished in Costa Rica since 1963. I'll post our actual submissions once the contest comes to a close later this month.